GARDAI from Swords had to be drafted in to keep order at a football tournament involving children as young as five in Portrane last week. The “Mini Euros” event organised by St Ita’s AFC almost had to be abandoned when two gangs of older youths started trouble from the sidelines – and parents threatened to intervene. Less than 24 hours later, two rival gangs of teens descended on nearby Beverton estate in Donabate for a mass brawl which had been organised on social media. 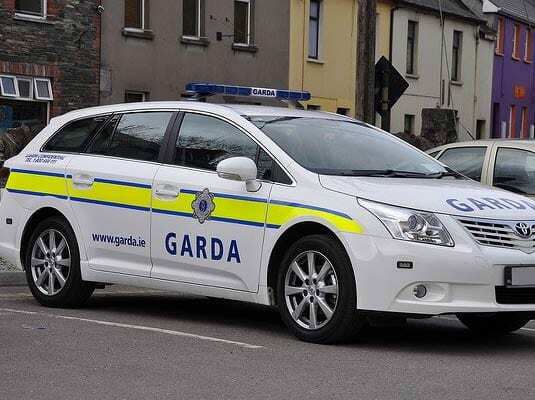 Locals are now calling for a visible garda presence in the area amid fears the peninsula is a soft target for prearranged “Fight Club”-style violence. Gardai received 30 calls from concerned residents within the space of 10 minutes as teens who arrived by train from Balbriggan or Dundalk clashed with local teens on the green at Beverton estate on Thursday evening. Two squad cars and a garda van were on the scene within minutes and after dispersing the gangs they escorted the visitors back to the train station. There were no arrests. It’s the latest in a series of pre-arranged scraps which have erupted in Donabate. Rival gangs travel by train and bus from Balbriggan, Blanchardstown, Malahide, Swords and further afield and the violence is streamed on social media. Cllr Paul Mulville (Ind) said: “We don’t want to demonise young people, but with such a large youth population we are encountering more and more challenging behaviour. The Mini Euros event at St Ita’s almost descended into violence but gardai patrolling the pitches from Thursday to Saturday ensured it went off without incident. Cllr Henchy said: “The tournament is a fantastic event and the fact that it was disrupted by unruly behaviour is not only sad, but totally unacceptable.